The Bee Movie is a look at the life of honeybees through animation. Bee’s work and go to school just like humans. After he graduates college, it is time for Barry B. Benson to pick his career. He does not want to go into the field that is expected of him. He believes that he can do bigger and better things. He ventures outside of the safety of his hive to see what life is outside of his structured environment. Barry believes that there is more to life than making honey. He enters the human world in his attempt to break away from his hive. He finds himself in danger of being swatted and killed when a florist, Vanessa who is shocked that he can speak to her, rescues him. He and Vanessa become close friends, which makes her boy friend very jealous. Humans have feared bees for many years, Barry B Benson changes things, and he is a kind and loving bee and is not to be feared. Through Barry, humans find that the bees fear humans just as much as humans fear them. They do not like to sting people because once they do, they die and they are as afraid of dying as humans are of being stung. While living his life in the outside world Barry finds out that humans possess honey in massive amounts. He believes that they should not be allowed to have this much honey, they are stealing from the bee’s to get this honey and the bee’s deserve to get paid for all of their hard work. Barry uses his college intellect to sue humans for having so much honey and not paying for it. Will Barry win the lawsuit? What will happen if he wins? Will Vanessa feel betrayed by him? Barry has a huge task ahead of him in suing the human race for possessing so much honey. If he wins the bees will be set for life, if he loses they might become slaves to the human race. Vanessa is a florist so her business could be hurt if he wins. 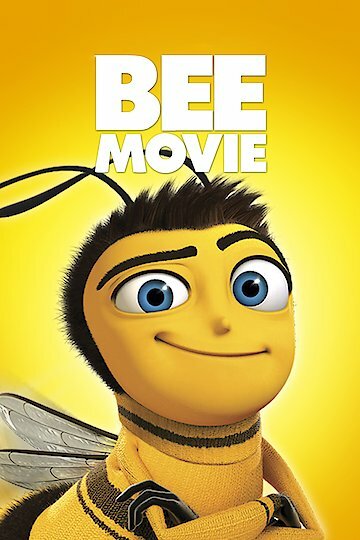 The Bee Movie is a comical look at how humans and bees would interact and what bees might think about humans eating their honey. Bee Movie is currently available to watch and stream, download, buy on demand at Netflix, Amazon, Vudu, Google Play, FandangoNow, iTunes, YouTube VOD online.